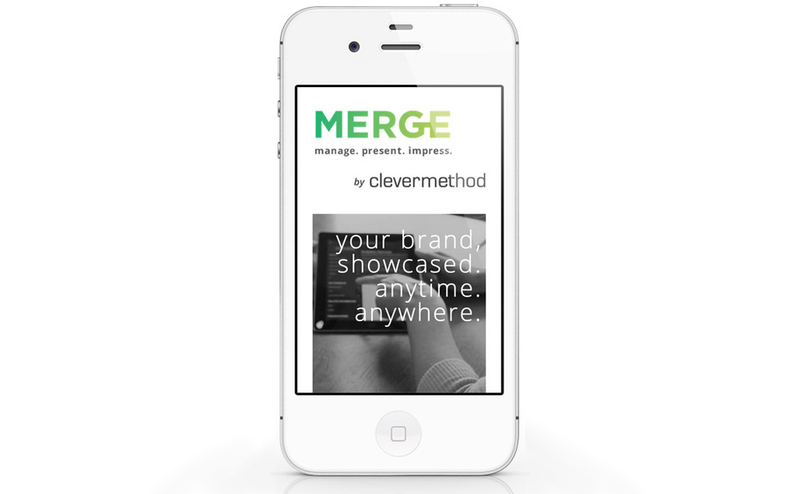 At clevermethod, we built a multipurpose, multi-platform app that could be used as a catalog, portfolio, or sales tool. 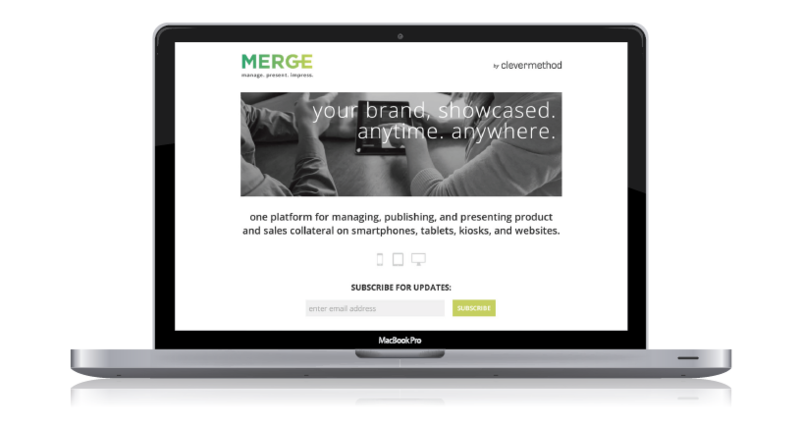 I created a plan to launch a landing page and then a microsite, to promote our new product. Shown here is the preliminary landing page for email capture on desktop and mobile that I hand-coded, a twitter share card, and a black and white print ad.